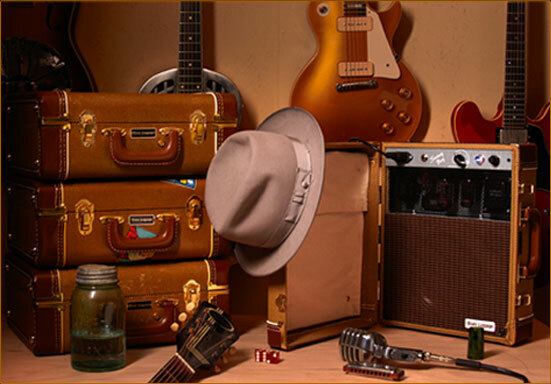 Authentic bluesy, tube-amp, ready to travel! 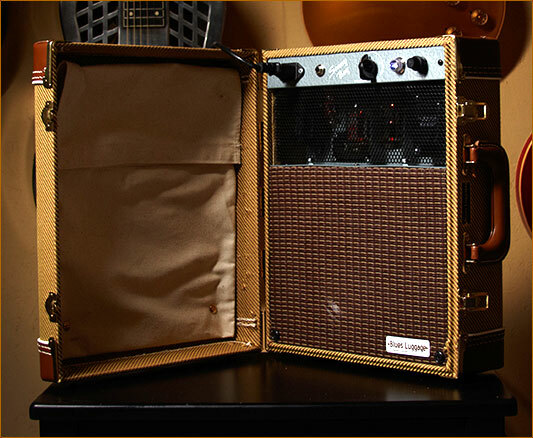 This vintage style tube amp is built into the finest, sturdy luggage. Featuring a clean pure tone below 5 on the volume knob. Over 5 and you can feel the edgy overdriven bluesy tone. Includes canvas pouch compartment for carrying detachable power cable and other items (cords, harmonicas, capos, picks, chewing gum, whisky, baseball cards, revolver, etc..). Amp closes up into a case for portability, protection, and concealment. Hand wired single ended 5 watt tube amp. Made in Denver Colorado USA with all the finest components. Gravity Music Gear in Denver Colorado is the exclusive dealer for Blues Luggage. For more information and ordering, please call 303-820-2115 or e-mail at info@bluesluggage.com.